 India Platform IPPublications Background Reading Will They Return? – The willingness of potential faculty to return to India and the key factors affecting their decisions. Will They Return? – The willingness of potential faculty to return to India and the key factors affecting their decisions. India needs to recruit at least one million new faculty members for its college and universities if it is to meet the government’s ambitious target to offer a higher education (HE) place to 20% of all young people by 2020. The number of PhDs being produced by the current Indian HE system falls far short of meeting this need. The most promising way to fill this gap is to recruit back many of the over 100,000 Indians who are studying in the US each year to obtain a graduate degree and the many others who are studying in other nations or who have completed their degrees and begun academic careers abroad. The results of this new survey of nearly 1,000 Indians who are currently undertaking, or have completed, graduate study in the US suggest that a great opportunity exists to attract this group back to India: only 8% of the sample strongly prefer to remain in the US, with the remainder either planning to return to India (preferably after some work experience abroad) or undecided. The survey also identifies some key factors that must be addressed to increase the likelihood that individuals will return for academic careers in India: removing red tape, reducing perceived corruption, and expanding research opportunities for faculty. Anne-Laure Winkler is a doctoral student in IR/HR at the School of Management and Labor Relations at Rutgers, The State University of New Jersey.